An Indonesian island of Bali is perceived to be an undoubted Eden on Earth. With its ancient culture, exotic traditions and mesmerizing nature, it attracts substantial amount of travellers each year. Consequently, there are numerous opportunities to spend a perfect time and these ten are some of them. 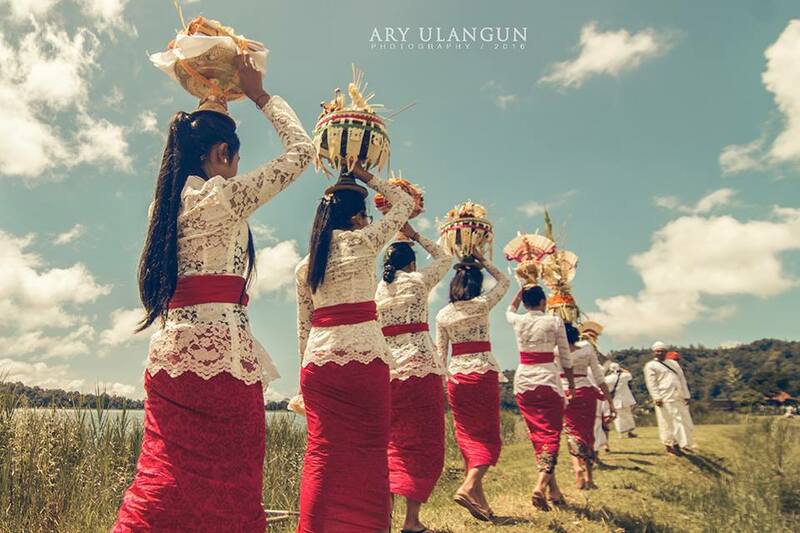 Balinese inhabitants have a deep enrooted sense of cultural belonging and ceremonies are a very old and crucial part of their community that are also perceived exotic among the travellers. Full Moon Ceremony (Purnama) is one of those. Balinese believe that Purnama is the best day of the month for planting and they will usually wait for this occasion, if it will mean successful harvesting. In addition, during this celebration inhabitants tend to bring some offerings as part of the gratitude that are usually laid by the entrance, or in the village temple. Full Moon Ceremony is so important that people tend to seriously focus on the preparations to make it truly unforgettable and special, which brings additional excitement for the visitors. Epicwander gives a chance to experience Balinese traditions from a local’s perspective, with the trips that will give you a possibility to spend a full moon ceremony around an authentic Indonesian family. Offerings can be perceived as a daily sacral art of Balinese culture. They are of such crucial importance that special protocols with various kinds of assembling options were established. Inhabitants prepare sacrifices from natural materials that can take hours in order to create a perfect gift for gods that will later on be devoted for a certain spirit in the temples or nearby the home in order to express gratitude for the life or to aid for help. Balinese culture is rich in spirituality and it takes a great amount of devotion and love for their traditions to create a perfect, beautiful offering on a daily basis, but perhaps sacrifices are a substantial element of this particular cultural identity and therefore it is one of the best ways for a tourist to engage with Indonesian traditions. Locals will be happy to teach you crucial elements of assembling such offering by giving you a personal lesson inside a regular family. 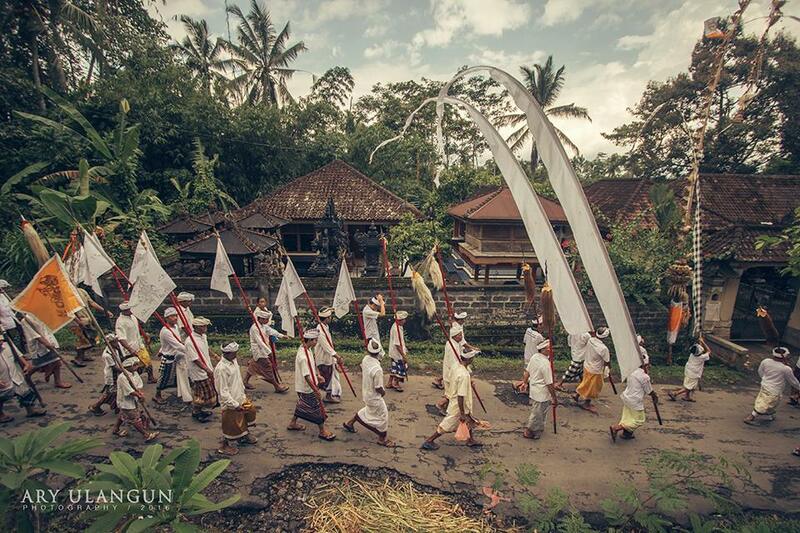 Maintaining good energy of personal spirit keeps Balinese culture moving forward. Positive Karma is achieved through the water ceremonies. Being seen as a symbol of life movement and flow of energy, water plays a crucial role in Indonesian traditions. It is said that this key life force can wash away the sickness and turmoil that is why locals engage in a ceremony of purification as a way to keep negative spirits and bad karma on a distance. One of the most important Hindu temples in Bali, Pura Tirta Empul (Temple of the Holy Water), is one of the sights, where you can engage in the ceremony. Temple immediately strikes you with a graceful beauty behind sacral traditions and lets you sense an atmosphere of inner balance. However, it is possible to engage in the purification ceremony in many different locations around the island and locals can even take you to more distant and less known sights that will bring additional feeling of authenticity. You can find some of the locals on the Epicwander website. Without a doubt, a lot of us imagine paradise as swimming in the magnificent forgotten waterfall in the middle of a jungle, while completely forgetting about any real life problems. Fortunately, Bali can bring a leap of dream into the reality. This exotic island can offer you a selection of beautiful fascinating waterfalls to enjoy. Epicwander has a selection of different activities to try with a local. Either it will be a hidden locally known waterfall, or a sacred temple. Perhaps, you might even find yourself up to a photo lesson with Balinese models on the waterfall? Bali is a beautiful tropical island and it would be bizarre not to engage with any of the water activities. Countless coral reefs and a vast selection of the most exotic fishes are bound to get any proper traveller into the water. The best part is that you can easily engage in any of these activities, as they are freely accessible without a distance. We would strongly recommend choosing freediving of various levels, because it will grant you a proximity of gazing at fishes and corals that is not accessible only on a boat. However, on this island even snorkeling will be highly thrilling. You can simply put on a mask and find exotic unknown fishes on a distance of a hand. For those, who perhaps tried freediving or snorkeling before and would like to experience another enthusiastic water activity, we would advise hiring a local to teach you spearfishing. Who would have thought that you would be swimming in a coral triangle hunting for that big fish? 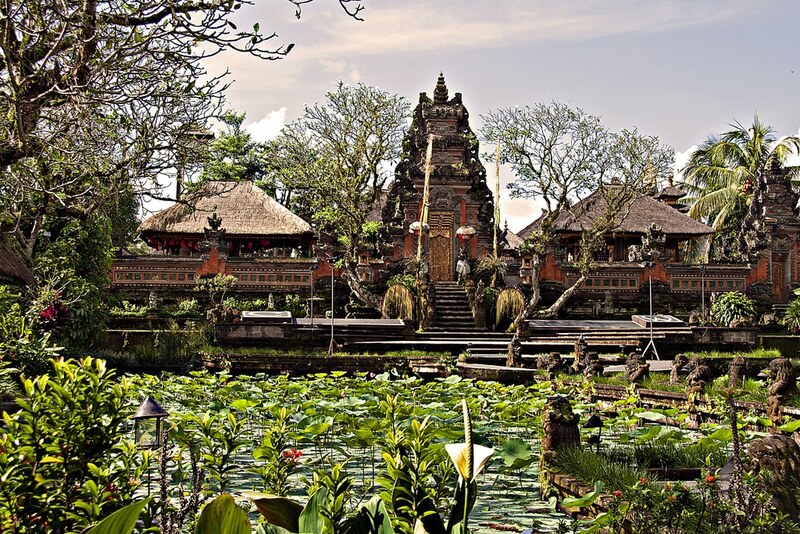 As we have noted before, spirituality plays an important role in the cultural identity of Balinese, therefore temples are crucial sights to visit while on the island. Apart from being a place for many ceremonies and sacred offerings, Indonesian temples also reflect unique local architecture. Pura, Hindu temples, are designed as open-air places of worship that are often represented on visuals of the region. There are few different types of Pura, which differ based on the location and the god that they were made to worship, but nevertheless each type is highly fascinating and therefore worth the visit. In fact, you might find it a good idea to visit different types of temples to compare them in terms of architecture. At Epicwander we have assembled some options by our fellow locals in the region. There is one particular reason, why we would strongly recommend you visiting rice fields in Bali. They are a highly photogenic aspect of the Asian culture, especially, the ones, which can be found on this island, as they are highly perfectionised and well maintained. Locals truly value nature and emphasize their respect to the gods by preserving given terrain. 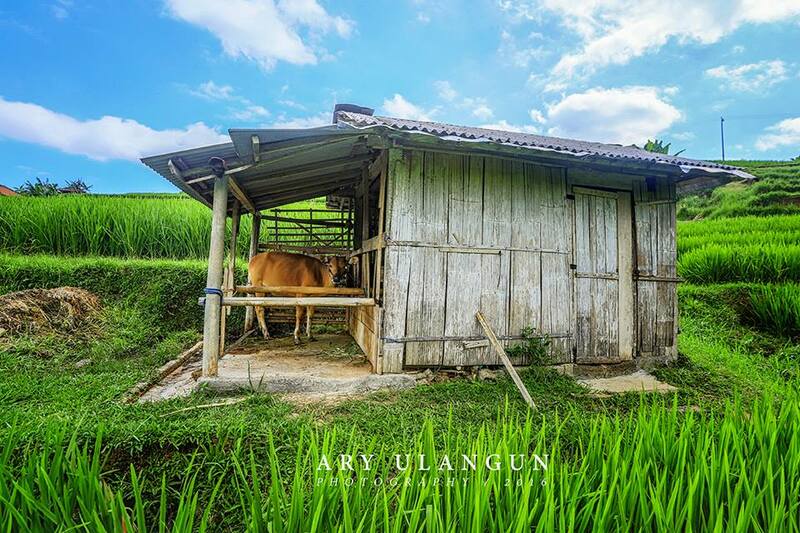 It is definitely worth spending few hours on a tour to the rice fields, perhaps you might even want to choose a photo tour. Here are some of the options you can choose from. Bali is an island of spectacular visuals. From thrilling sunsets above the rooftops of Pura temples, to majestic hidden waterfalls and fascinating ceremonies, this culture has to offer the most alluring scenes that will leave any advanced traveller engaged with the region. Therefore, it might be truly a good idea to hire a local photographer and spend some time on a photo session around various locations. Not only will you be sure that local photographer will know the best places to capture that picture, but also these are the memories that we tend to bring back home. 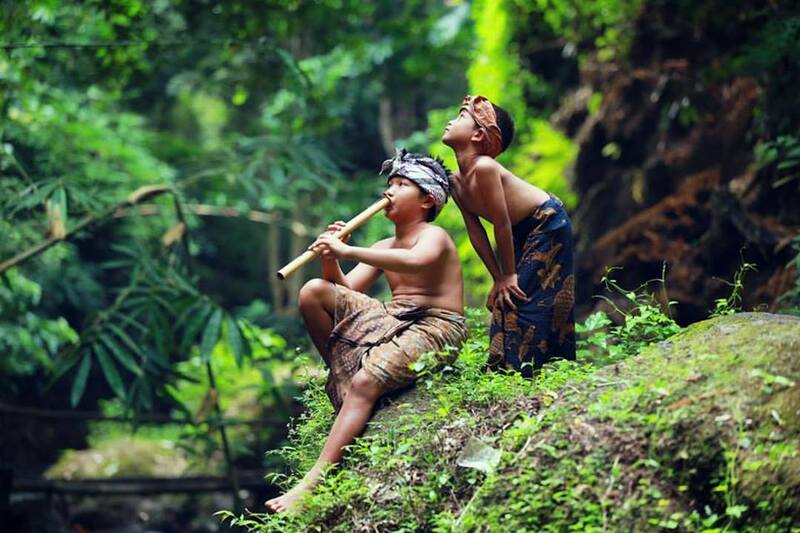 Considering that Balinese people have strong aesthetic feeling in spirituality, the best way to represent such culture is to create some aesthetically appealing images that will be your memory of adventures on the island. Photographers do not have to be expensive and hard to find, some of them are accessible right from these links. Once you have engaged in the spiritual traditions of the island and fully discovered oceanic life of coral reefs, you might consider going up to the mountains or jungle. Mount Agung and Mount Batur are two that you should write down on a to do list. Apart from spectacular views from the top, Mount Batur is an active volcano of the island. There are not many active volcanoes left on the Earth that you are able to visit and heading to the one might be worth some time. In fact, engaging in a trekking experience to Mount Batur also means visiting charming lake Batur and small ancient villages nearby that are certainly off the beaten tourist track. Mount Agung is right next to the Batur and it is the highest point on the island. In fact, mountain is high enough to capture crossing clouds water. As a result, we get this very unique scenery when the west part is really green while the east, dry. 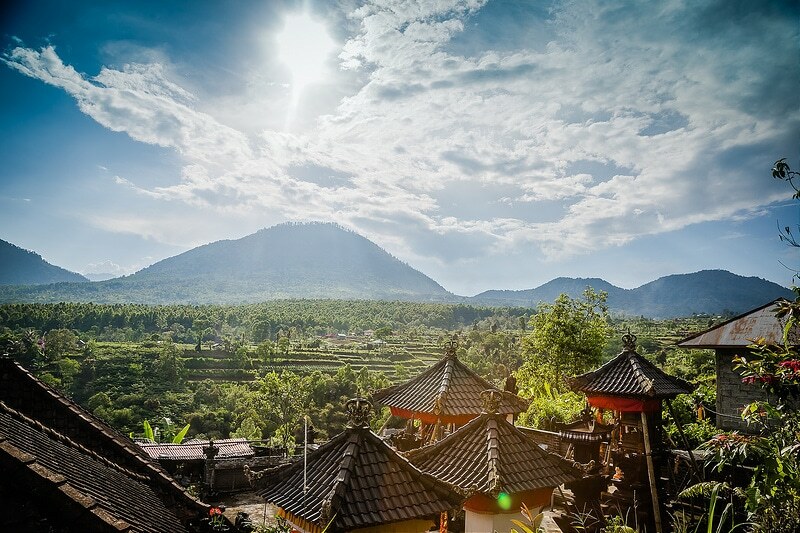 If local temples fascinated you, Agung is another reason, why you should consider trekking. 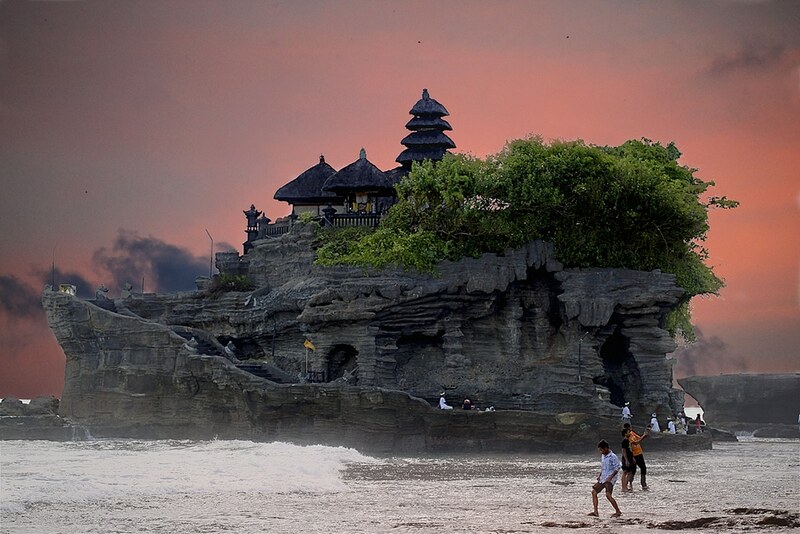 The most important island’s temple is located high on the slopes of Agung. You can only imagine breathtaking scenery that strikes through the rooftop of that temple. It is not a secret that many of us are thrilled by an idea of heading out to the jungle and being adventurous first-discoverers of the land. However, it is not an easy thing to do and most of the jungles with such tours are still truly dangerous places to be. Bali is your chance to experience wilderness from a less dangerous yet as fabulous angle. Healthy lifestyle is the latest trend in Western society. We are eager to engage in exercise and are more determined to choose organic products over regular ones. Why not to embrace healthy lifestyle within Balinese culture? Island offers some exciting opportunities to visit local organic food farms. Some of them might offer you an organic coffee, tea or juice, which would cost a fortune in normal surroundings, whereas here you can actually be enrolled in an entire process and be sure that your drinks are hundred percent locally produced and healthy. In fact, you could be involved in fruit picking and if we speak about Bali, we speak about exotic fruits. Not many organic farms will give you a chance to collect Durians, Mangoes, Avocados or Pineapples. Engaging in an exotic organic food farm becomes as exciting as any other activity on the island. Besides, freshly squeezed pineapple juice will give you energy for more snorkeling or trekking. Bali is a fantastic holiday destination with alluring culture, thrilling traditions and several opportunities for an active lifestyle. Whether you prefer sunbathing on the beach or exploring distant terrains, Indonesian island can satisfy every tourist. At Epicwander we strongly believe that the best way to explore the culture is by seeing it from a locals perspective. This list gives you various opportunities to fully discover Bali and one of those options is undeniably a definition for your perfect holidays.